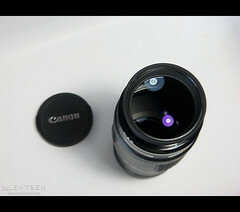 Read my first post about this lens here. It has been more than three months since I got this lens last december, and the more I use this lens, the more I like it. I mentioned before that I will replace it, when i have the money to upgrade, but now, I decided, I’ll keep it. This lens gave me a chance to save my money so I can get the Canon EF 70-200mm f/4 L IS USM . I found a lens hood for the EF 70-210mm F4 Macro. It’s a 58 Screw Mount 58mm Hood made by Mennon model A-ST. .
Low Light Photos Taken with the Canon EF 70-210mm F4. This entry was posted in Photography Gear Reviews and tagged in 70-210mm, canon, Canon EF 70-210mm F4, EF, ef 70-210mm f/4 macro, ef 70-210mm F4, F4, gear review, highly recommended product, product review, review, reviews, telephoto, telephoto zoom, zoom lens. The 70-210mm F4 uses the ET-62II lens hood.